There are two reasons I was drawn to Pluto. The first was that Pluto was pretty much an unknown place when I began researching it 1983, making it a great opportunity for study. The second was the lure of imagining what it would be like to be on Pluto. It's such an interesting environment – very different from Earth – and it still captures my imagination as I continue my work on this intriguing world. A favorite technique for measuring size is stellar occultation – that's when Pluto is seen from Earth to pass in front of a star. One basic parameter that we need to know about any world is its size. For instance, we know how much light is reflected from the surface. In fact, we've known this since Pluto was discovered in 1930. If you know the diameter of Pluto you can then calculate how reflective its surface is. This one piece of information is very useful because it provides an indication of what the surface is like – it could be very large with a dark surface, or it could be smaller with a bright surface. A favorite technique for measuring size is stellar occultation – that's when Pluto is seen from Earth to pass in front of a star. We know Pluto's velocity across the sky and can measure its size by timing when the star disappears and reappears. Almost from the first days after Pluto's discovery, astronomers looked for opportunities to make such a measurement – but it wasn't until 1988 that the first one was observed. The biggest result from this occultation was to see, for the first time, the structure and mass of Pluto's atmosphere. 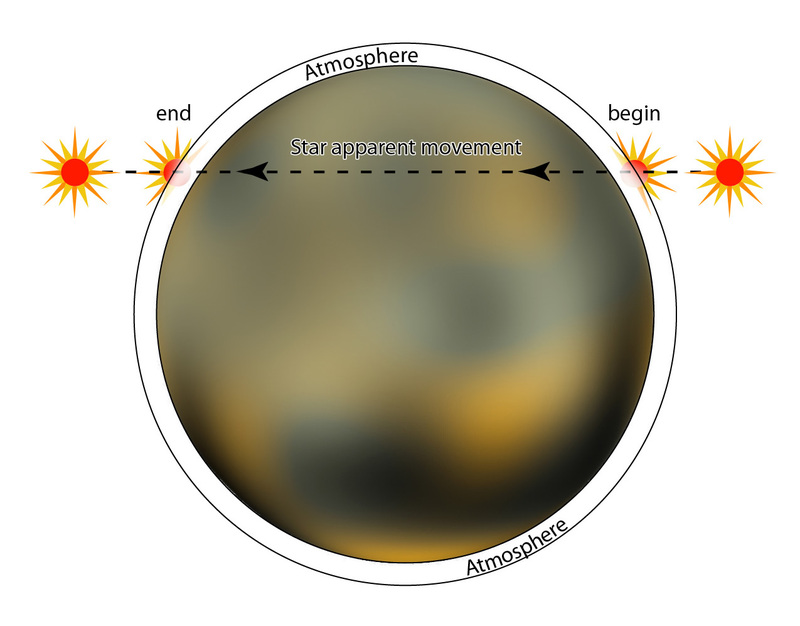 Unfortunately, the presence of the atmosphere means we cannot directly measure the size of Pluto since the starlight disappears before it reaches the ground. This makes it sound like we really don't know Pluto's size, but that's an exaggeration. In reality, we know that Pluto's diameter must be somewhere in the range of 2,306-2,340 kilometers (about 1,433-1,454 miles). That constraint would be good enough for most people, but when we try to understand the structure of Pluto’s atmosphere, this uncertainty makes a huge difference in the properties of the very bottom of the atmosphere. Even a change as small as 10 kilometers is a big deal. Probably one of the easiest measurements New Horizons will make is to tell us, finally, Pluto’s real size. I have been using 2,306 kilometers for decades. I suspect it's a little larger than that and my own prediction is that it will be closer to 2,326 kilometers, about 1,445 miles. Either way, it will be great to finally know Pluto's true size so we can understand the small world even better.